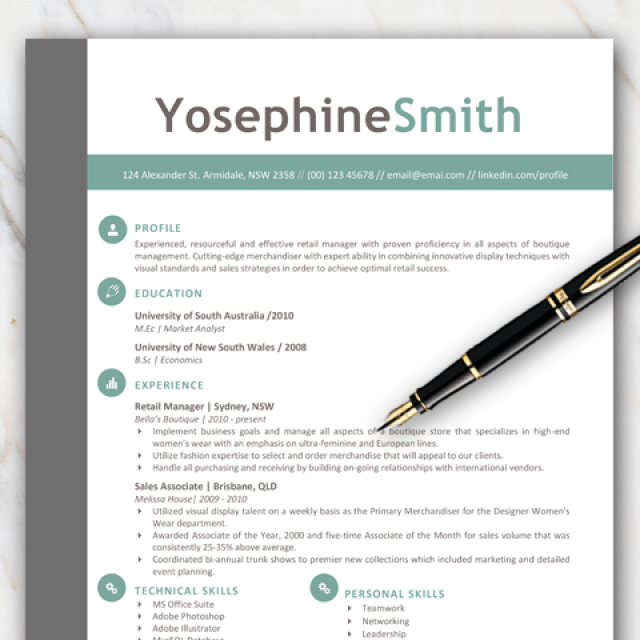 Want to stand out from the crowd when applying for a job? 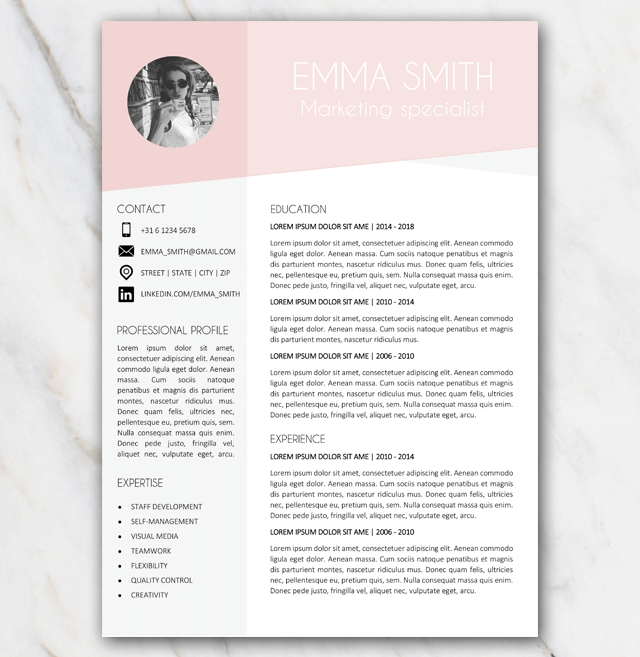 Have a look at this lovely designed resume template. 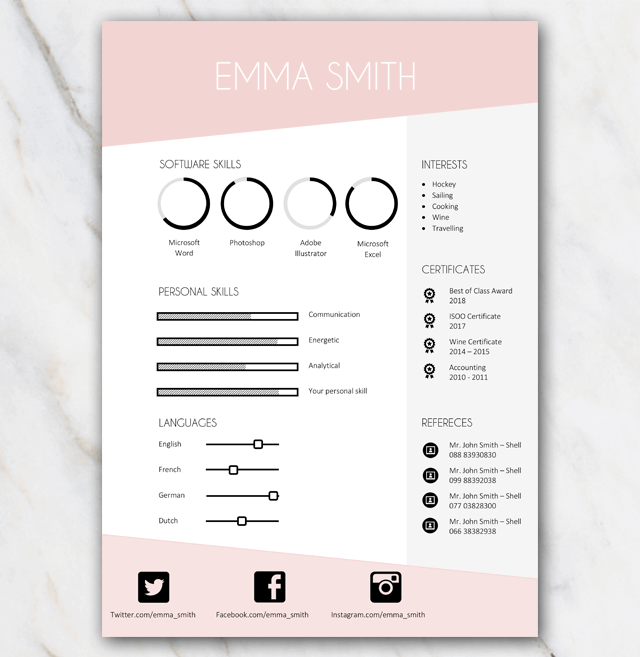 Download the file for a profesionally designed and easy to customize 2 page resume. Maybe some sections you don't need? You can delete different sections that aren't necessary. Or move some sections and duplicate other sections. 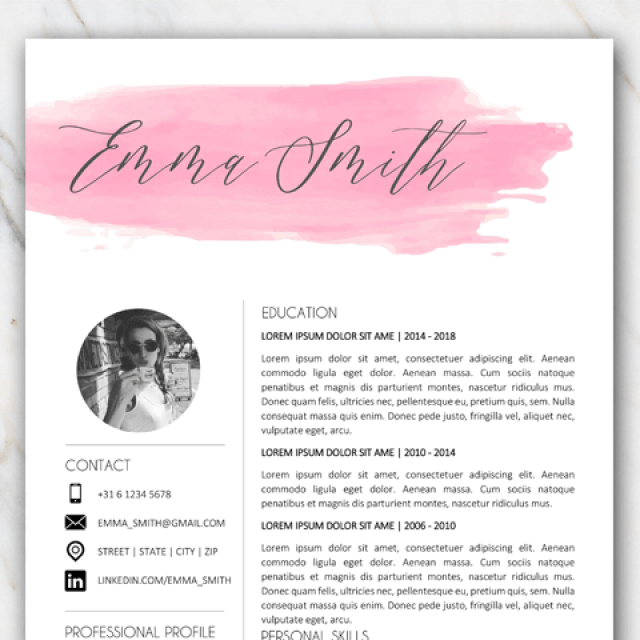 Not exactly what your are looking for? 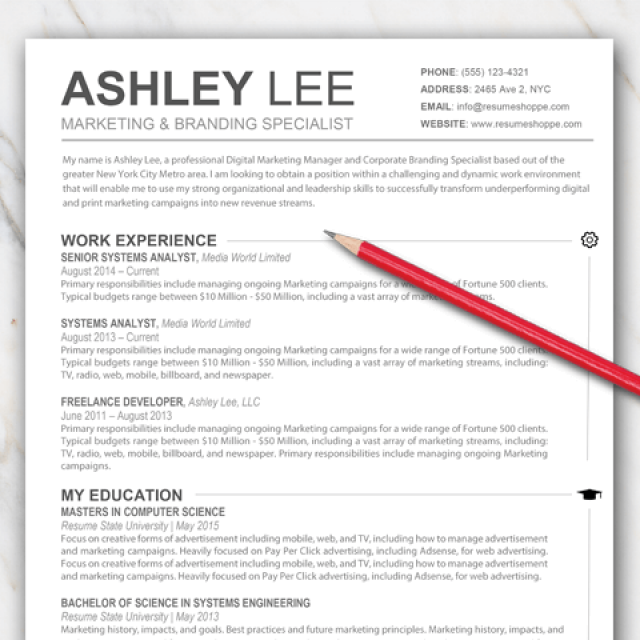 No worries, just check out my other free resume templates.